How I adore that quote from a book I fell in love with as a child, a book for everyone despite being published in 1908 that made me wish that I too was living a new life in the mythical place of Avonlea. 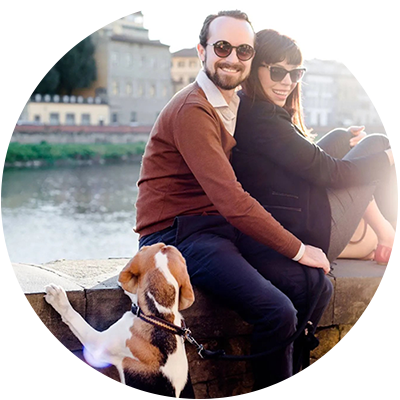 Back to October in Florence – it is indeed, a lovely time to be here and I am all smiles as the heat of the summer as faded which coincidentally has brought a renewed vigor to my world (let’s be real – it’s the caffeine). This includes a general “cozy” vibe around our house as we light candles, brew tea and bring out fuzzy blankets for movies and books to be enjoyed on quieter evenings. When it comes to how to pack for the weather, my advice is to think of your wardrobe as an onion (a Tropea one though, we like to keep it quality around here). Layer up with light sweaters and a jacket for the evenings when the temperature can drop quite a bit, pack a light scarf too (the temperature ranges from highs of 24 degrees celsius to lows of 14 or below). Pack an umbrella in your bag for all times and opt for closed-toed shoes when possible. For anyone struggling with blogging, I highly recommend this post on finding your voice as a writer by Gigi Griffis. In September, the latest exhibition by Palazzo Strozzi “The Cinquecento in Florence” has opened to the public, before you go – read this review by local expert ArtTrav. 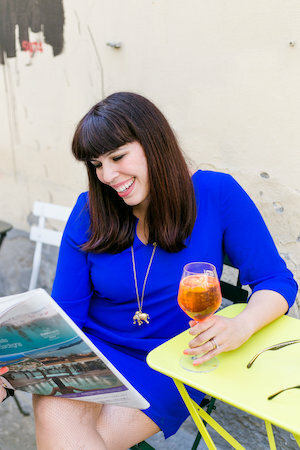 My friend Coral aka Curious Appetite makes us all envious of her life as she describes the pressure of eating and judging the world’s best gelato. I am always on the hunt for delicious Tuscan recipes on the healthier side which is why this brown rice – squash salad with an autumn flair looks like a dream by the always trustworthy Jul’s Kitchen. The Uffizi Gallery has a new website and it is looking mighty fine! I’m especially impressed by their pages on accessibility and options for families. For those concerned about the effects of Brexit, I highly recommend this interview talking about citizen’s concerns with The Florentine’s Helen Farrel and British Ambassador to Italy, Jill Morris. For the joy of Northern Italy (and cake) you need to save this lovely travel post about Trento (adjacent to the Dolomites) by Emiko Davies. 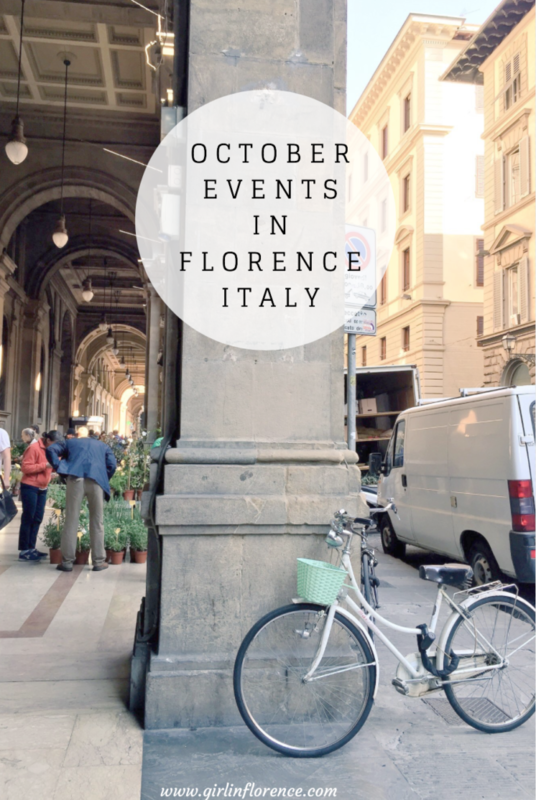 Save this lovely list of October events all around Tuscany by Visit Florence. Don’t miss the singer/songwriter showcase at Superfox on October 3rd (9pm-12am). Along with the open-mic, they will also have Baret Magarian, an author of Armenian extraction, from London, and lives in Florence. Starts at 9pm. Almost 300 years later, the last two heirs of the Medici Dynasty are brought back to life in a multimedia masterpiece of “infotainment,” that combines digital reproductions of the family’s extraordinary and invaluable artistic patrimony with live theatrical performances. The Show honors the memory of this legendary family and its artistic, scientific, cultural, and spiritual contributions both to the society of its time, and to society today, as it has served as a source of inspiration across the world. facebook. There are five shows every day except Monday , all lasting a duration 1 hour. All shows will be held in English and the first show to kick off the season is on September 5th. where? at the former Convent of Sant’Onofrio delle Monache di Foligno (via faenza 48). More info: email info@medicidynasty.com. full 30 €, students (to age 25) 20 €, children under 12 free, family options are also available. official event website. 2017 marks the 30th anniversary of James Ivory’s cinematic masterpiece “A Room with a View”. In honor of that, from Oct 6-8th the La Compagnia cinema on Via Cavour will be playing 9 of his best films in original language with Italian subtitles. 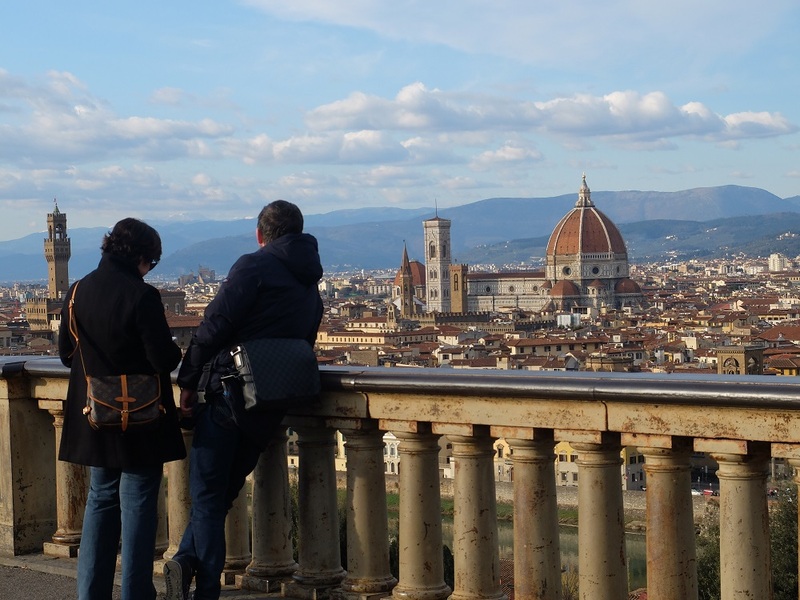 On October 7th, The British Institute in Florence will be organizing a “Tea with a View” on Saturday 7 October from 17.00 to 18.30 at the Harold Acton Library, more details here. A lovely market featuring the work of local, young artisans called “Creative Factory” at the Impact hub in the area of Rifredi will be on October 6th – 8th (different times). You will be able to pick up a wide range of items including men and women’s accessories, home decor, jewelry and kid’s items. 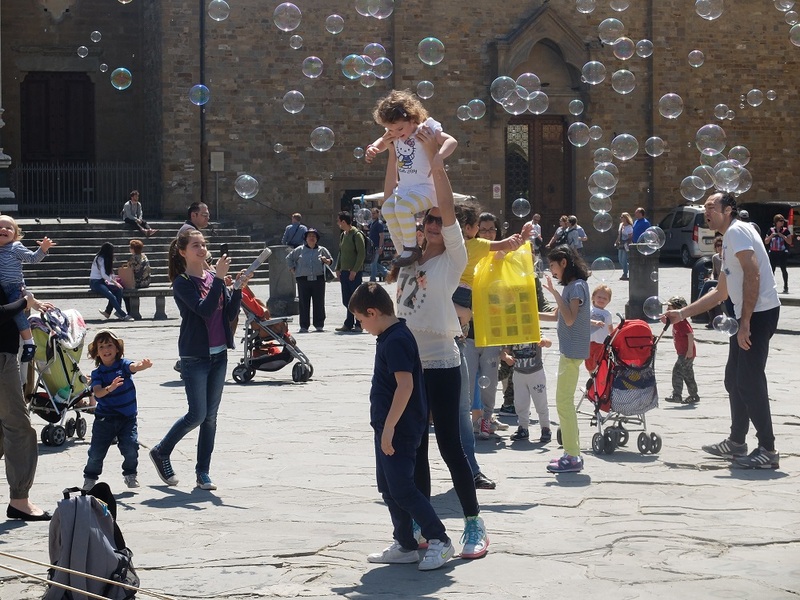 Contemporary art lovers like myself will enjoy the return of the Florence Biennale from October 6th to the 15th at the Fortezza di Basso in Florence. This year’s theme centers around the sustainability of creativity with an active dialogue to be had at various lectures and conferences at the events space. They will also feature the work of over 400 artists from 70 different countries, this is exciting stuff! I definitely don’t want to miss this. 8€ entrance fee. A free tea-tasting will be happening at the Tepidarium Del Roster on Via bolognese 17 on Saturday, October 7th in Florence. The focus will be on tea made from flower petals and lucky participants will get to hear more about the story and history of the tea that will be served. This month on October 7th and 8th there will be an all-day “Fiera della ceramica” ceramics fair in Piazza SS. Annunziata. Not only will you be able to purchase artisan-made goods from the square, under the loggia are workshops dedicated to kids that are open to the public. On Sunday, October 8th (12:30pm) you can join a fun picnic in one of the nicest gardens in Florence at Serre Torrigiani (Via Gusciana 21) organized by the Associazione Tumori Toscana. more details here Expect music, readings, fun food and much more, you can find about this super cool event. Saturday, October 7th at 10am. Palazzo Strozzi exhibition: “The Cinquecento in Florence. From Michelangelo and Pontormo to Giambologna” 20 euro + 12 euro entrance fee. This is the third in a series of excellent exhibitions on 16th c. art in Florence, all held at Palazzo Strozzi and curated by Antonio Natali and Carlo Falciani (the first two were Bronzino and Rosso/Pontormo). This show promises to be huge—in both scope and importance—featuring over 70 works by Michelangelo, Bronzino, Rosso Fiorentino, Pontormo, Giambologna and more. Saturday, October 21st at 10am, Michelangelo and the Buonarroti family in Florence. 20 euro + museum fees (approx. 15 euro, with reductions for Florentine residents). Michelangelo grew up in the Santa Croce neighborhood, and from an early age he began purchasing property in the area so that he could begin to build his family palazzo in the style of other local patrician families. 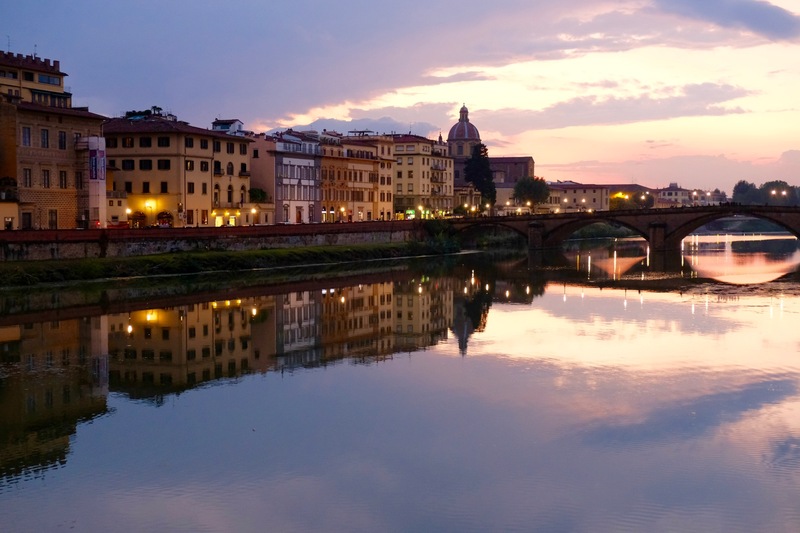 On this walk we will visit the various sites personally connected to Michelangelo including Casa Buonarroti and the basilica of Santa Croce, where he is buried. It will be a wonderful opportunity to visit his tomb, which is currently the object of a crowdfunding project (please click here to contribute). As we will be in Santa Croce, we will end the morning with a look two important 16th c. paintings now housed in the basilica: Bronzino’s Descent of Christ into Limbo and Vasari’s Last Supper. Art lovers will be seriously excited about the new exhibit at Palazzo Strozzi this month which will be on until 21 January 2018. It is titled The Cinquecento in Florence. From Michelangelo and Pontormo to Giambologna and it is a spectacular exhibition devoted to the art of the 16th century in Florence showcasing over seventy works of art by such artists as Michelangelo, Bronzino, Giorgio Vasari, Rosso Fiorentino, Pontormo, Santi di Tito, Giambologna and Bartolomeo Ammannati.” I need to go check this out… ASAP. On October 8th the city will celebrate the co-patron of the city, Santa Reparata with a historical procession from Piazza di Parte Guelfa to the crypt of the Roman saint at the Cathedral. Author Baret Magarian and Marco Incardona will speak about Baret’s novel “Melting Point” on October the 11th at former prison turned cultural cafe, La Murate in Florence. 6-7pm. More details can be found here. A workshop dedicated to “the search of balance” with Natalia Criado will be held at cool artist residency space Numeroventi in Florence on the evening of October 12th where participants will make a special pendent object together. For those who have no idea, Florence is home to a spectacular synagogue in the Sant’Ambrogio area of town and if you’d like to visit, there will be a chance to go on a guided tour on October 15th which includes a sampling of several typical kosher delights. 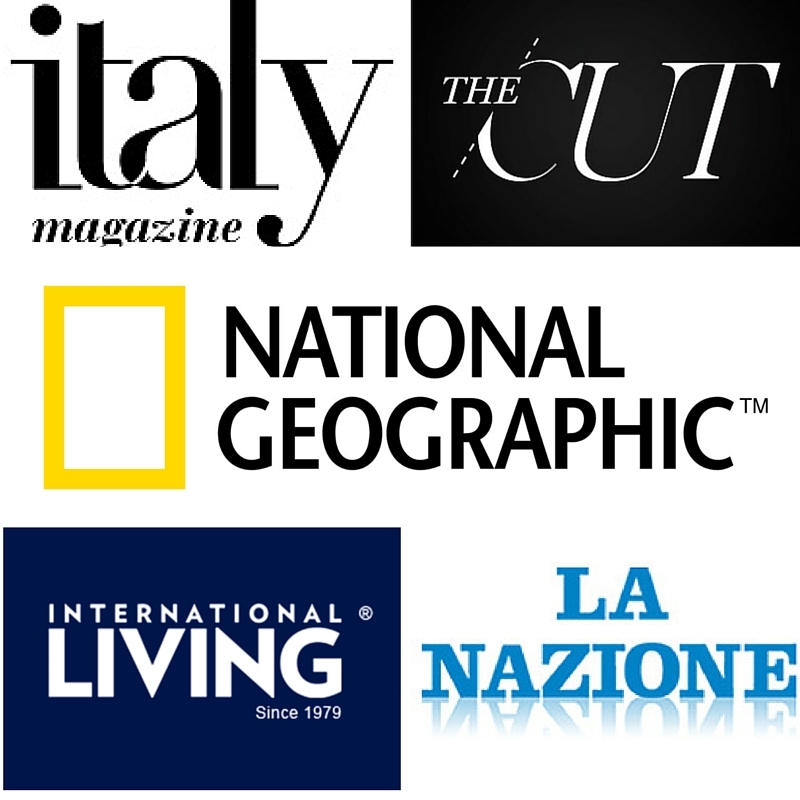 Sunday, October 15th returns the Fall edition of the FAI’s special openings all around Italy. FAI (Fondo Ambiente Italiano) is a non-profit organization working to protect and restore Italy’s cultural heritage and this is a really unique chance to discover interesting places, not normally open to the public. Special openings in Florence include the Ex Manifattura Tabacchi, a former industrial complex covering about 100,000 square meters. I love a nice autumnal fair and this month on October 15th a fiera dedicated to all things “Fall” will be happening in Piazza Santo Spirito. It will probably be a great time to indulge in purchases like honey, selected fall vegetables, vintage clothes and more. Don’t miss a line up of 12 French films from October 19th-22nd as part of the France Odeon 2017 at La Compagnia on Via Cavour 50/r. I’m waiting for the full program but you can check out more via their FB page. I am so excited about the newest exhibit to come to CCC Strozzina at Palazzo Strozzi, Radical Utopias, covering exciting movement in Florence in the 60’s and 70’s. The exhibition will be bringing together for the very first time in a single venue the visionary work of such groups and figures as 9999, Archizoom, Remo Buti, Gianni Pettena, Superstudio, Ufo and Zzigurat, in a kaleidoscopic dialogue between objects of design, videos, installations, performances and narratives in one exhibit that is near and dear to a good friend of mine as her father was one of the founders. Those feeling masochistic or much more fit than myself should join the “Inferno Run” a mud-filled obstacle course at Cascine park October 21-22nd. The proceeds will go towards supporting the Tommasino Bacciotti Foundation. Anyone else SUPER excited to have the Belle Epoque French market return to Piazza SS. Annunziata from October 1st until November 1st. You can expect plenty of food with a bit of French flair. I will definitely be visit this soon. Apparently there will be a sagra della bufala di Firenze (you heard me right) from October 20-22nd in Piazza Santa Croce. This sounds deliciously dangerous, count me IN. Mozart has always been a personal favorite which is why I had to share that there will be three months of Mozart-themed concerts by the Maggio Musicale in the majestic “sala bianca” in Pitti Palace. Performances cost around 15€ and you can book in advance (recommended). World Vegan Day is coming to Florence on October 31st-November 1st in a special day of events including a market, workshops for kids, a big dinner, tattoos shows and more hosted at the Istituto Alberghiero Buontalenti. After a brief hiatus this summer, our beloved original-language cinema, the Odeon is back on track with a superb list of fall options. And there is plenty to see this month including the much anticipated Beguiled, Blade Runner, Room with A View.. check out the program here Price: 8 euros for a normal ticket. Don’t miss this presentation with artist Anna Rose scheduled for Tuesday, October 3 at 6pm at the Siena Art Institute, Via Tommaso Pendola 37, Siena. The meeting is part of the calendar of Starters – Assaggi d’Arte of the Siena Art Institute and will end with an aperitivo. Chestnut lovers should head to the Tuscan town of Marradi for their annual Sagre delle Castagne every Sunday on October, 8, 15, 22, 29. Expect outdoor food stands, plenty of people and yes, chestnuts.They also have a fun option to arrive via ancient steam train. *ALSO is this special chestnut-based brunch held at Palazzo Torriani in Marradi on October 7th, you can reserve your spot here. You don’t want to miss this “Three Acres Creative Gathering” from the October 26th – 29th. with several notable personalities on the food and photography scene celebrating seasonal flavors in the Tuscan countryside. The three-day event will include a market visit, cooking class, a lesson on natural cosmetics, boutique wine tour, bread-making lesson, visit to Siena and Volterra, table setting lesson and more. 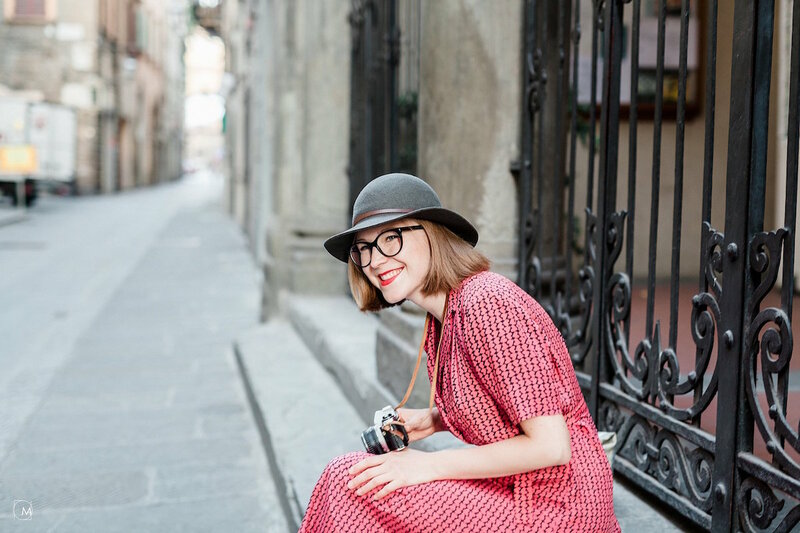 Head outta town to the beautiful town of Pistoia (easily reachable by train) to check out their Ovo handmade market featuring the work hand-picked local artisans on October 14th – 15th in its first edition. In the town of Certaldo, the annual “Boccaccesca” food and wine festival will be from October 6-8th and is dedicated to one of Italy’s greatest poets, Bocaccio. An ideal excuse to visit this underrated Tuscan town. More chestnuts (can you feel a theme here) can be enjoyed at the Festa dei Marroni on October 8th, 15th in the town of Vicchio in the Mugello area of Tuscany. My friend Valentina aka TooMuchTuscany is from this area and I highly recommend her blog for locally-based tips.